I used the solid stamp in the set just inked in Daffodil Delight & then with the Daisy like flower I used the Memento Ink & coloured with the blendabilities, you can see the gradual colours from light to dark at the tips. On the bottom flower which you can just see in the right hand corner of the photo above I used the light blendabilitie followed by the dark along the dots of the flower. 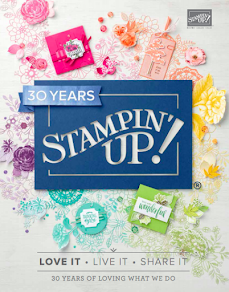 I'm so excited that 20 demonstrator's from the Inspiring Inkin' Team, have taken the plunge to showcase some new products that are coming up in the Stampin' Up! 2014 - 2015 Annual Catalogue!! This is the new Traveler stamp set where I have created a birthday card for a male friend of mine. This stamp is great for men & women cards, I was drawn to the train, ship & camera! I thought I can use these on men cards, scrapbooking & designing my own wrapping paper in whatever Stampin' Up! Colour I want! Recently in the UK Stampin' Up! Demonstrators got together for some training & inspiration. When attending these events many demonstrators make swaps to inspire others with different techniques. I combined some products that are retiring at present in the UK as well as some products from the current spring/summer Catalogue. Do check out what is retiring by clicking on the shop now icon top right. Some products have already sold out, everything is on while stocks lasts. I'm on a coach at present on route to Scotland for a much needed holiday! I thought I would do some blogging whilst I have the blogger app. I really enjoyed making this quick & simply card I have only just aquired this Wetlands stamp set so wanted to play with it. I knew I wanted to include a bit of Retro dsp and the Tangerine Tango seemed to be the best!! I used an aqua brush to paint the sunset looking background behind the birds. I then distressed it around the edges with my paper snips to give it some texture. I stamped the background piece with the petal parade stamp set that is available during Sale-a-Bration when you spend £45. I have seen loads of people do the one sheet wonder technique and have been enjoying doing it recently, this stamp set really works for this. Hi all! Today, I have been at my Stampin' Up! training day with other demonstrators, learning new techniques and getting inspiration from others. I then signed up to do an inspiration at our next quarterly meeting. I then had to leave early due to having Messy Church at the Church I attend, so a very busy day. But I had to pop in and show you the swap I did for the other demonstrators.